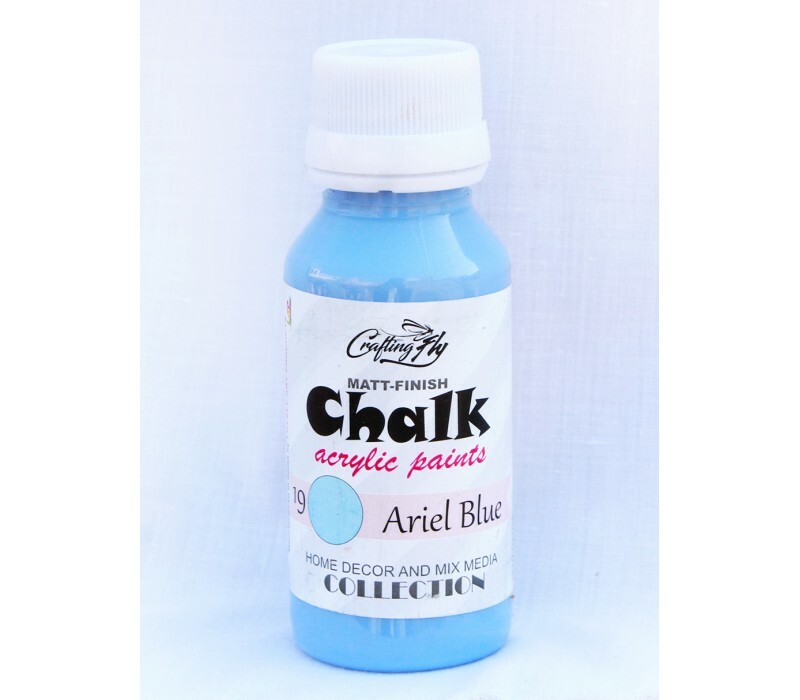 Crafting Fly Matt-Finish Chalk Paints are easy to use and have a perfect consistency for Spreading with rollers, Sponge and Brush. Great For Mixed Media Projects And Home decor applications. How To Use : * Shake well Before Use. * Surface Should Be Clean. Dry and Free From Dust, Wax, Moisture and Grease. For the base Coat, apply one layers of the Chalk paint, Let it dry and Re- apply one again to Achieve Desired Results. 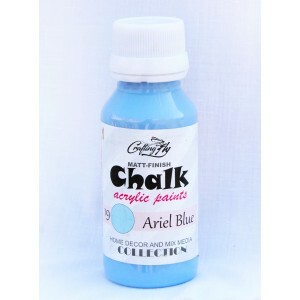 * These Paints Can Be Diluted/ Thinned Down To 10% to 20% with Clean Water to Reduce Brush Marks. * Apply Multiple Layers and Spot Sand It To Give A Distressed Vintage Look to your art project, wall surface or furniture. *Store in a Cool And dry Place.